In this free video drum lesson, Allan Varnfield shows you how to play the FULL song “Judith” by A Perfect Circle, featuring the drumming of Josh Freese. As well as showing you how to play every single drum beat, drum fill and lick, from start to finish, this lesson also includes the full PDF drum chart for the whole song. Allan is from www.DrumGrades.com, our sister site offering video drum lessons for all Trinity Rock & Pop and Guildhall Drum Grades. Find out more about www.DrumGrades.com by clicking HERE. 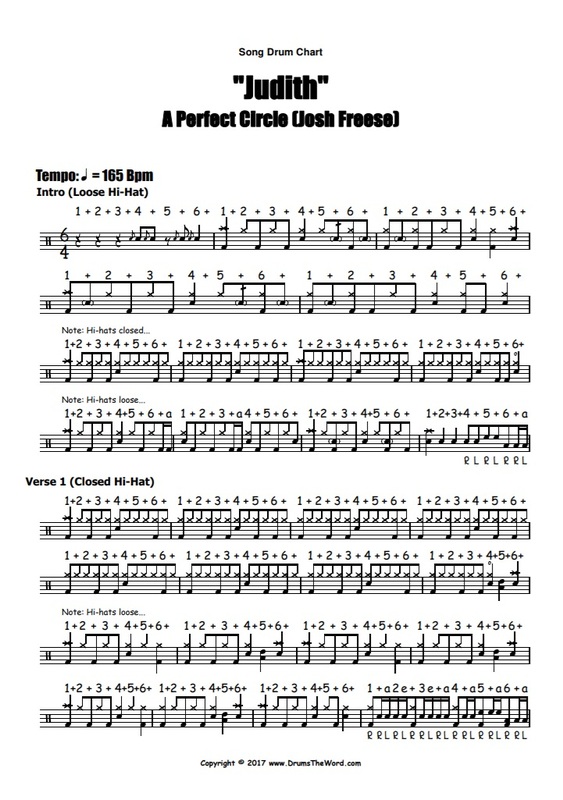 Free FULL PDF Drum Chart: Download free PDF Drum Chart by clicking HERE.